Importance of the mobile in marketing, which is increasing every day, demands getting more effective results with different methods in this field. One of such methods is the instant notifications also known as “push notification”. These notifications, which we may define as a micro marketing method, allow you to send you short messages to devices of users with the help of your app. Most users forget using the apps that draw their attention after downloading them to their device. Push notifications runs to rescue here, and remind your app to users who have downloaded it to their device but forgot about it among other apps. 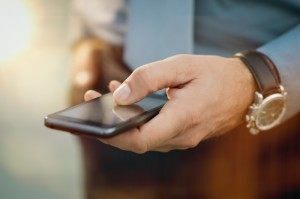 If you have developed a mobile app for your company, you can announce information like campaigns and sales easily thanks to push notification messages. When preparing the messages, you can form them towards the target audience, and therefore transmit your marketing message in a fashion that is easy and suitable to its target audience. Push notifications aren’t only a method to earn loyalty of users who have downloaded your app and then forgot about it, they are also a way to earn loyalty of active users. Introducing new features you have added to app, and providing the users with special opportunities can be beneficial for customer loyalty. This can also help with you1818r brand’s image and therefore help it on your way to achieving your digital marketing targets. Another reason why push notifications are used often by app developers and companies is that they can be scheduled to be sent to users at a date and time you desire. This feature can be helpful with an event organization or periodic campaign announcements. When it comes to turnover rates, instant notifications may yield you much more effective results than many other digital marketing activities. According a survey, the rate of users opening an app shows an incredible increase of 540 percent after push notification messages. Moreover, speed of acting is 3 times as much compared to e-mail notifications. Another impressive result from the survey is, push notifications increase posts about the app on Facebook and Twitter by 30 percent. As the numbers show, analysis of push notification message’s effects allows access to important data like notifications reaching users, following that user opening the app and interact with it.